Today it was our turn to be featured as Truebie of the Week by HBO. Thanks! 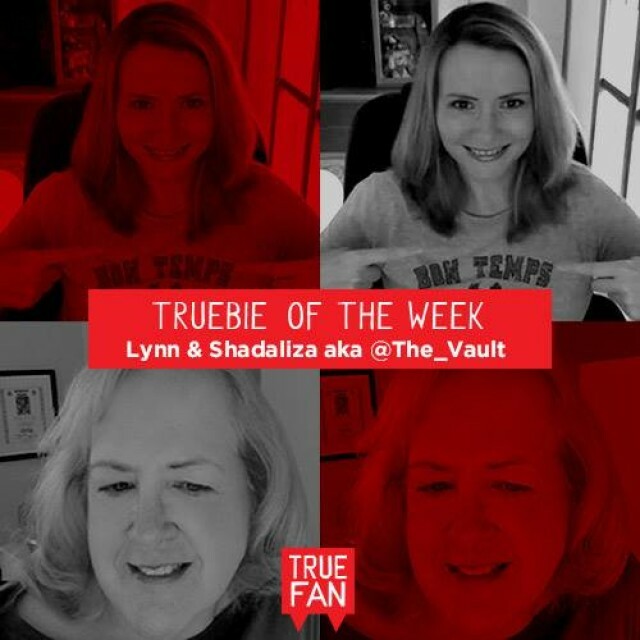 You can read the personality test of Lynn and Shadaliza on the True To The End website where we answer questions as who we want as our maker and who we would glamour. Well done, Shad and Lynn. Excellent answers. Bill is my main man (vampire) so I would have named him fairly often. And I do agree about the pilot. It hooked me immediately. You two should be Truebies of the Year, or of the entire Series. Thanks for all you’ve done to support the show. Your dedication is exemplary, and the fans have benefited from your tireless work on behalf of all things True Blood. WONDERFUL NEWS! I loved all your answers and i am happy for you. How can I be a TRUBIE of the week! Congratulations Shad and Lynn ,both Trubies extraordinaire. Bill is the only Vampire I’d want to bite me.or be my maker. I’d set up a buffet of Sam, Jason or Lafayette to feed from depending on my appetite of the day. Hands down the pilot was the bait that hooked us all. I;m so happy you received some of the recognition you so richly deserve. It’s about time! Congratulations Shad and Lynn. You certainly deserve the recognition. Congratulations Shad and Lynn….good for you! Fun questions. Great recognition and congratulations! I love both your answers.